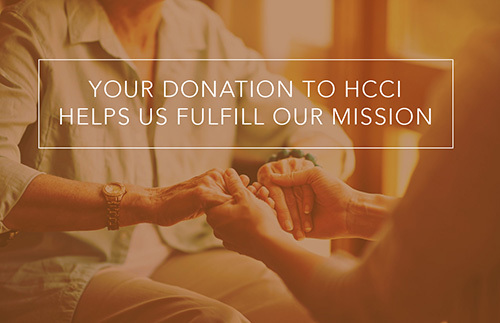 A donation to HCCI advances the mission to ensure access to quality home-based primary care for every patient in need, resulting in better medical outcomes, better patient and family experience, and reduced overall healthcare spending. Home Centered Care Institute is a 501(c)3 nonprofit organization. Donations are tax-deductible to the extent allowed by law. If you would like to manage your account , please create a login name and password below. Your password must be at least eight characters long, and contain at least one number.